Lasagna is a wonderfully versatile Italian dish. Try this variation with zucchini, carrot, and rotini pasta. This page contains zucchini and carrot rotini lasagna recipe. A healthy lasagna that tastes amazing! This is comfort food without the guilt. Brown meat with garlic, onion, and celery. Add tomatoes and paste, along with the zucchini and carrots. Add spices of your choice to flavor (I added a half tsp. of oregano, basil, and crushed chilies). Let sauce simmer for 30 minutes. Preheat oven to 375 degrees F. Cook Rotini al dente. 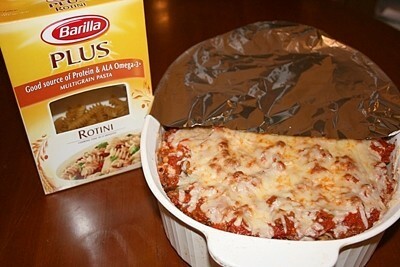 Layer all ingredients into a casserole dish, like a lasagna and bake for 30 minutes. If you have a small family you can freeze leftovers!